After teacher strikes in Los Angeles and Oakland, California, union leaders see districtwide job actions as the perfect tool to check off all those boxes on their wish lists. The next venues in the state appear to be Santa Rosa and Sacramento — for different reasons, although increased funding is behind them both. The Santa Rosa Teachers Association will discuss a potential strike later this month, but the union is not far enough along in the contract negotiation process to do anything soon. It filed for impasse last month but was denied by the state Public Employment Relations Board. As we saw with both L.A. and Oakland, even if an impasse were granted, mediation and fact-finding would likely take months, putting off any possible strike until the next school year. The union and district are far apart on salary and health insurance premium contributions, and some familiar trends are developing. The union accused the district of retaliatory conduct against a union leader and filed an unfair labor practice complaint that also asserts that the district unlawfully notified teachers of their right to opt out of union membership. The district is making familiar sounds as well. Superintendent Diann Kitamura says the union’s demands will place the district in deficit, but she has a way out: more state funding. Meanwhile, members of the Sacramento City Teachers Association authorized a strike in an all-member vote last week. The situation is quite a bit different from all the other strikes we have seen in that the Sacramento union is still under contract. Under normal circumstances, it would be legally barred from striking. The loophole is that the union says the district has reneged on the contract and a strike would be “to protest the massive unfair labor practices and unlawful activity of Superintendent Jorge Aguilar and other district administrators and school board members.” The union says the district is facing insolvency due to financial mismanagement by Aguilar and district officials. Unlike labor disputes elsewhere, in Sacramento, the district has media support in the form of Sacramento Bee columnist Marcos Bretón. But the Sacramento union brought out its own communications big guns. Press contacts are being handled by D.C.-area public relations professional Jamie Horwitz, a former longtime media staffer with the American Federation of Teachers. Horwitz also worked with the Oakland Education Association during its strike. 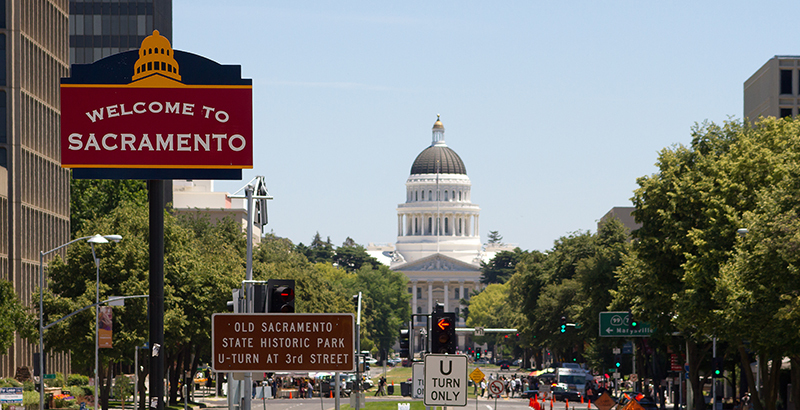 The Sacramento situation is a crucial one to watch because it could extend the series of strikes to school districts where labor contracts have already been agreed upon. An “unfair labor practice” strike requires a high threshold of proof to be legal, but it could bring the strike wave to new California shores.